Even the strongest brands eventually go through some type of an identity crisis. Maybe the audience you've been targeting for all these years no longer needs the product or service you offer. Maybe you suffered a bit of a setback from a public relations perspective and are looking for a way to start fresh. 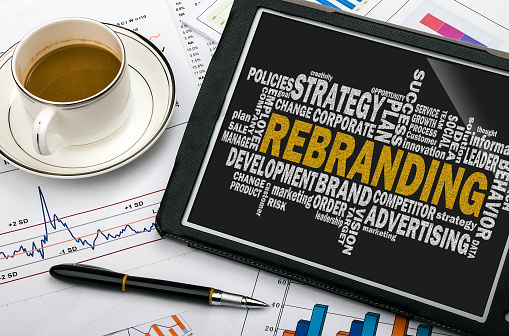 Rebranding involves a whole lot more than just putting a new coat of paint on an old house -- it's about getting rid of the old so you can make way for the new in the freshest and most impressive ways possible. If you're in the process of rebranding or are even considering it, your marketing materials will always play an important role in the proceedings. To begin the process of rebranding, you must first answer the question, "why are we doing this in the first place?" Once you've come up with a concrete answer, you need to always keep that in mind as a goal you hope to achieve. Your answer will dictate every decision you make from here on out. Are you rebranding in an attempt to appeal to a wider audience? Your marketing materials, the logo you're using, and even your design need to reflect that. Remember that your marketing materials were originally created with your brand in mind -- every element, right down to the font being used in direct mailers, was picked because it accurately reflected the brand you were trying to present to the world at that given moment. If your brand is in the process of changing, there is no element of your marketing too small that won't need to change along with it. If you want an example of exactly what a successful rebranding campaign can do for your business, look no further than one of the biggest companies on the face of the Earth: Apple. It's hard to remember a time when Apple as a corporation was teetering on the edge of bankruptcy. That period wasn't too long ago, however, and Apple was indeed in dire straits as recently as 1997. Their successful rebranding took the world by storm when they went from "just another electronics company" that put out products many people considered overpriced, to the hippest, most forward-thinking tech company around. Apple's rebranding campaign got rid of all the complicated terminology in favor of a simplistic campaign that reflected the products themselves. They focused on rebranding themselves as a company that put out reliable and endlessly classy products that "just worked" and have benefited handsomely from that decision ever since. Look at rebranding for what it is: an opportunity to start fresh. There's nothing wrong with rebranding -- it is not an admission of failure or defeat. It's a true chance to reaffirm your corporate identity with your goals and take the world by storm in a way more meaningful and more impactful than ever before.